In Talkin’ Big, Tom Dittmer—former CEO of Refco, the United States’ first world-renowned futures firm—recalls how with hard work, determination, optimism, and some good old-fashioned luck, he was able to able to achieve his greatness. Growing up as a farm boy in small-town Iowa, Dittmer first made a name for himself as a Lieutenant in the U.S. Army. His industry and potential were quickly noticed, and Dittmer rapidly rose to become a White House aide under Lyndon B. Johnson. After an honorable discharge, Dittmer moved to Chicago with his new wife, Frannie, where he, from the Chicago Union Stockyards, first learned of the wealth of potential that that the Chicago Stock Exchange held. In 1969, he got into the business world himself, forming Ray E. Friedman & Co., (Refco) with this father. And from there, Dittmer’s fortunes only rose. Making millions, taking Refco to the international stage, and hobnobbing with celebrities, Dittmer became a legend in his own right, all while staying true to himself and his Midwest roots. 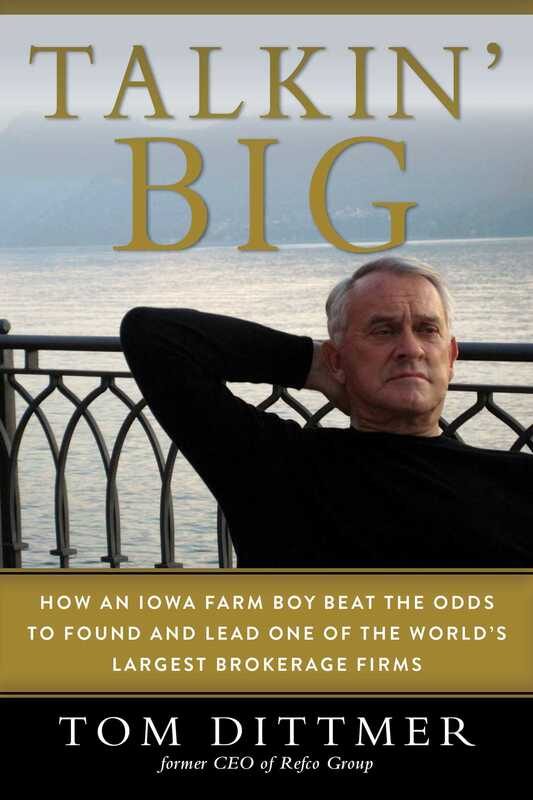 Brimming with fascinating business insights and incredible inside stories, Talkin’ Big is a true rag-to-riches story of one of America’s greatest businessmen. Tom Dittmer was raised in Sioux City, Iowa, and is a graduate of the University of Iowa. Dittmer is a retired commodities brokerage executive. He retired as chairman of Refco Group in 1999, a firm he cofounded. Under his leadership, Refco was one of the first US futures firms to build an international presence. In 2006, Dittmer was inducted into the Futures Industry Association Futures Hall of Fame. He lives with his wife in Los Olivos, California.